The medical journal Pediatrics recently published research that found that kids who took part in a regular physical activity program showed important enhancement of cognitive performance and brain function. The findings, according to University of Illinois professor Charles Hillman and colleagues, “demonstrate a causal effect of a physical program on executive control, and provide support for physical activity for improving childhood cognition and brain health.” If it seems odd that this is something that still needs support, that’s because it is odd, yes. Physical activity is clearly a high, high-yield investment for all kids, but especially those attentive or hyperactive. This brand of research is still published and written about as though it were a novel finding, in part because exercise programs for kids remain underfunded and underprioritized in many school curricula, even though exercise is clearly integral to maximizing the utility of time spent in class. The improvements in this case came in executive control, which consists of inhibition (resisting distraction, maintaining focus), working memory, and cognitive flexibility (switching between tasks). The images above show the brain activity in the group of kids who did the program as opposed to the group that didn’t. It’s the kind of difference that’s so dramatic it’s a little unsettling. The study only lasted nine months, but when you’re only seven years old, nine months is a long time to be sitting in class with a blue head. It may potentially be advisable to consider possibly implementing more exercise opportunities for kids. “If physical activity is established as an effective intervention for ADHD,” they continued, “it will also be important to address possible complementary effects of physical activity and existing treatment strategies …” Which is a kind of phenomenal degree of reservation compared to the haste with which millions of kids have been introduced to amphetamines and other stimulants to address said ADHD. The number of prescriptions increased from 34.8 to 48.4 million between 2007 and 2011 alone. The pharmaceutical market around the disorder has grown to several billion dollars in recent years while school exercise initiatives have enjoyed no such spoils of entrepreneurialism. But, you know, once there is more research, it may potentially be advisable to consider possibly implementing more exercise opportunities for kids. John Ratey, an associate professor of psychiatry at Harvard, suggests that people think of exercise as medication for ADHD. Even very light physical activity improves mood and cognitive performance by triggering the brain to release dopamine and serotonin, similar to the way that stimulant medications like Adderall do. In a 2012 TED talk, Ratey argued that physical exercise “is really for our brains.” He likened it to taking “a little bit of Prozac and a little bit of Ritalin.” As a rule, I say never trust anyone who has given a TED talk. But maybe in this case that’s a constructive way to think about moving one’s body. 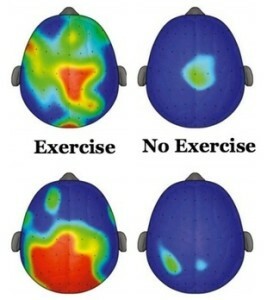 But not the inverse, where taking Ritalin counts as exercise. Tagged ADD, ADHD, Exercise, fitness, James Hamblin. Bookmark the permalink.